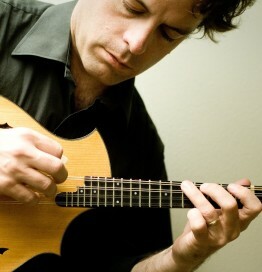 Tim regularly tours Europe and North America in the international mandolin supergroup The Ger Mandolin Orchestra. He has been a featured guest artist at national conventions of the Classical Mandolin Society of America and has taught at the Mandolin Symposium and many other music camps over the years. He is currently an Adjunct Professor of Music at Lewis and Clark College in Portland, OR. Since 2017 is going to be a big year for waltzes at Django in June. let’s go out in 3/4 time. Here’s Tim and Stumptown Swing on the Tony Murena classic, L’Indifference.